darkSpyro - Spyro and Skylanders Forum - Spyro: Year of the Dragon - If this game had double jump, where would it be most fun to use? 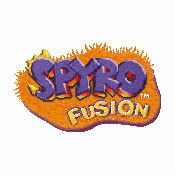 darkSpyro - Spyro and Skylanders Forum > Spyro: Year of the Dragon > If this game had double jump, where would it be most fun to use? I think it could be a lot of fun in Frozen Altars and it'd be pretty interesting in Evening Lake. It'd be neat for Super Bonus Round since then you could go to the superfly/flame without the needed gems. I've heard it's in this game, although a lot harder to do, but I'm talking about the exact kind of double jump done the same way as GTG. The place with the cat witchez. Oh oh! It would be fun seeing just how high in Enchanted Towers that you could go up the towers! Also Spooky Swamp would be fun to jump into those solid trees around the top of the walls. Fireworks Factory had two solid towers in the middle of the level that would be easy to get up on with the double jump, also Midnight Mountain, the place with the scorpions and many more, pretty much almost the whole game.